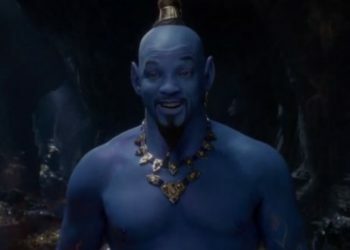 This new Aladdin live-action remake was a dumb idea to begin with but of course, it looks like it’s beyond redemption now. Disney is going ape s–t with their live-action remakes of classic animated films and from what we’ve been seeing recently, they’re making money. 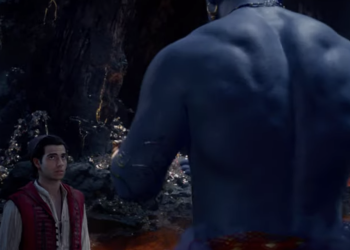 The Jungle Book remake was pretty good but god, that Beauty and the Beast remake was the definition of mediocre but of course, it made a ton at the box-office. We’ll be getting a few more this year such as The Lion King, Dumbo and of course, Aladdin. 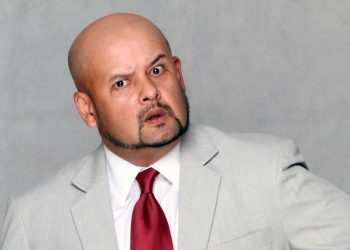 The Lion King trailer looked pretty good and the Dumbo trailer was alright I guess but god, that Aladdin trailer was something else. By something else, I mean dogs–t. 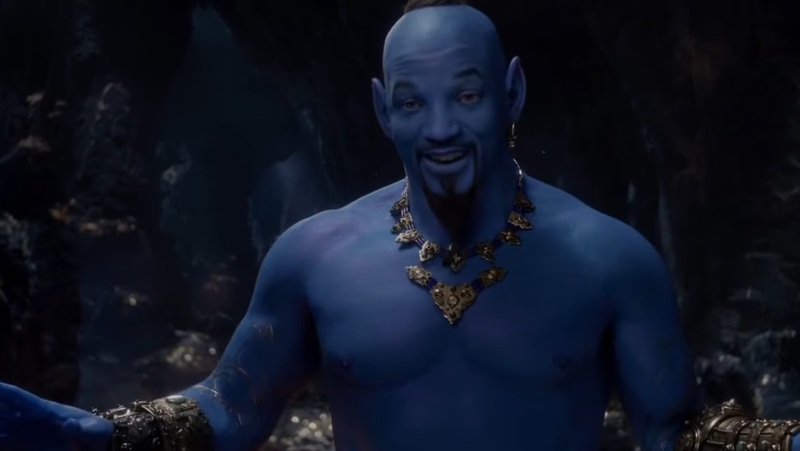 Okay fine, the teaser was alright but god that TV Spot was a different level of stupid mostly cause of one little thing, blue Will Smith as Genie. 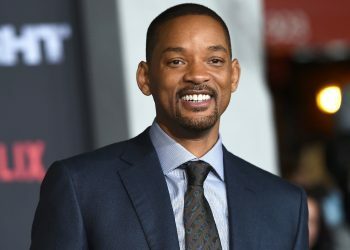 Williams doesn’t really look fantastic either but he sure looks better than Smith does. You can’t really blame Smith cause he’s just there to perform and well, his appearance is on the effects department. 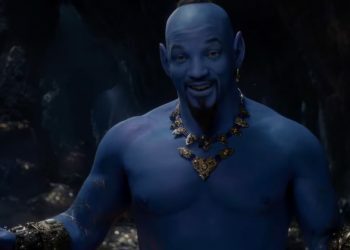 Maybe Disney would work a little harder to make Genie more presentable and I’m sure Smith did his best with what was given to him. 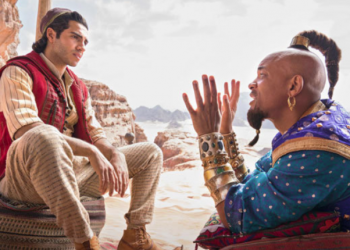 We’ll have to wait to find out but from where we’re standing, this Aladdin remake doesn’t look good.